The State Legislature passed an ambitious $7 billion budget in HB 2 which increased spending for education and road projects. The legislature also approved a capital outlay bill with over $900 million in spending for projects across the state, which are listed in SB 280 by county and by agency. Overall, acequia budget priorities were included in the budget and capital outlay bills. The NMAA did not make any requests for additional program funding in HB 2 and the funding for FY2020 is the same as it was for the current year: $1.9 million for the acequia program at the Interstate Stream Commission, $398,000 for acequia education at the Local Government Division of DFA, $88,000 for the NM Acequia Commission, and a flat budget for the Acequia and Community Ditch Fund at the Department of Agriculture. In the Capital Outlay bill, the highlight is a $2 million appropriation for Acequia Projects Statewide to the Interstate Stream Commission. This is in addition to the $1.9 million to the ISC for the acequia program. A similar appropriation was made to the ISC in 2014 and it was expended to support acequia construction projects over the course of three years. Also, in the Capital Outlay bill, most of the acequias that requested funding were granted capital outlay appropriations. On the high end, Farmers Mutual Ditch in San Juan County, which serves over 600 irrigators and over 4,000 acres, received $3.2 million for water conveyance improvements. Most other appropriations ranged from $10,000 to $250,000. A complete list of acequias receiving Capital Outlay, totaling 39, is listed under the SB 280 agency list under the Interstate Stream Commission. The total on acequia capital outlay projects for FY2020 is $5.6 million. The most significant piece of legislation for acequias passed in the 2019 session was the passage of SB 438 creating the Acequia and Community Ditch Infrastructure Fund. The sponsors of the bill (and the House companion bill HB 517) were Senator Carlos Cisneros, Senator Pete Campos, Senator Richard Martinez, Representative Andrea Romero, and Representative Bobby Gonzales. Strong supporters included Representatives Susan Herrera and Joseph Sanchez who also helped move the bill through the legislative process. The Acequia and Community Ditch Infrastructure Fund will be administered by the Interstate Stream Commission. The funding would be appropriated from the Irrigation Works Construction Fund and would be used for planning, design, and construction of acequia infrastructure projects. 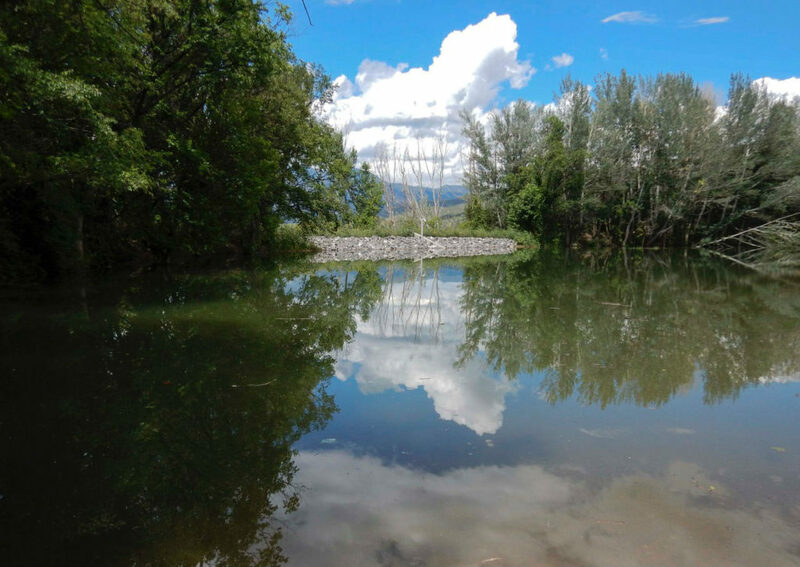 The new fund builds on the existing acequia program at the ISC. The bill seeks to institutionalize recurring annual funding for the acequia projects through the Interstate Stream Commission. For more than 25 years, HB 2 has included a year-to-year appropriation for the ISC acequia program from the Irrigation Works Construction Fund, which according to Section 72-14-23, NMSA 1978 is intended for irrigation infrastructure. The annual appropriation has usually been $1.9 million but there have been some years when the NMAA has had to protect that appropriation from budget cuts. The rationale for the creation of the new fund is to ensure that the funding for the ISC acequia program is stable and recurring at a predictable amount. The existing ISC acequia program has a long track record of successful completion of projects. Since the late 1980s, the ISC has administered acequia projects by ensuring that such projects have an engineering design, where needed, or design specifications prior to approving a project to proceed with construction. Currently, the program is staffed by two engineers who have the qualifications to review engineering designs and to assist acequias in managing their projects. The ISC also assists with inspections of construction during and after construction. The ISC acequia program is a good complement to federal funding that is available as a cost share. It is also a good alternative or complement to Capital Outlay funding because it provides a more reliable stream of funding that is available for acequia projects. Currently, the ISC program is part of several partnerships to leverage state and federal funding as well as technical assistance resources. The ISC partners with the NM Association of Conservation Districts and the New Mexico Acequia Association to conduct outreach to acequias and to assist acequias with infrastructure planning, applying for funding, and completing projects. Having a statutory fund that provides reliable, recurring revenue to the acequia program at the ISC will contribute to positive outcomes for acequias who are working to improve irrigation efficiency. The new fund will not be in effect until FY21 because the FY20 budget already had a $1.9 appropriation for the ISC acequia program. Also, the bill requires that the ISC develop guidelines for the program based on input from the New Mexico Acequia Commission and the New Mexico Acequia Association. Acequias succeeded in passing four critical pieces of legislation that affirm acequia governance, improve transparency and due process at the Office of the State Engineer, and establish a stable revenue stream for acequia infrastructure. Acequia leaders from around the state attended hearings and gave testimony about the importance of these important policy changes. Several other partners also showed their support for the legislation, thereby helping to gain the support of legislators from across the state. The following four bills each passed both the House and Senate and are on the Governor’s desk. Please call Governor Michelle Lujan Grisham and ask that she sign the acequia and water bills! Call 505-476-2200. SB 438/HB 517 (Cisneros, Campos, Romero, Gonzales) Acequia and Community Ditch Irrigation Fund – This legislation would create a fund of $2.5 million per year for the ISC Acequia Program. 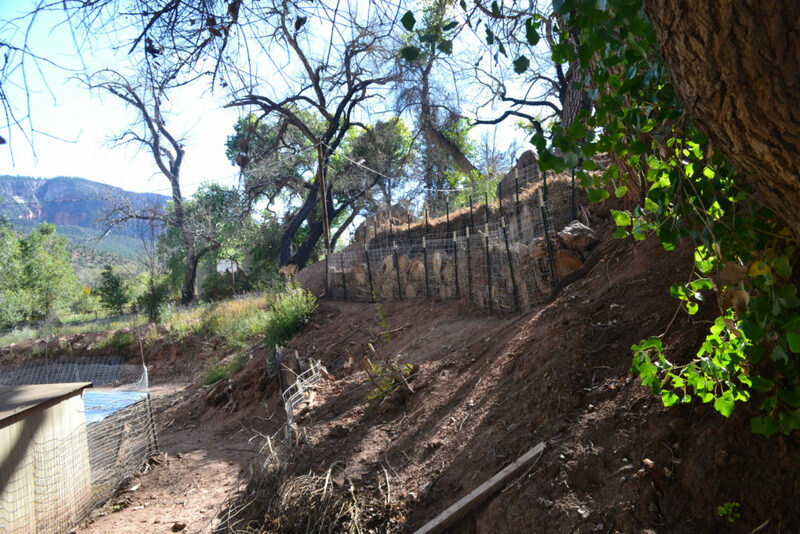 For years, the ISC has received an annual appropriation for the acequia program, which has been typically $1.9 million but it has been lower in some years. The purpose of this year’s legislation is to ensure that there is recurring revenue from the Irrigation Works Construction Fund for acequia projects with an increase from $1.9 to $2.5 million. This will stabilize the funding for future years. SB 12 (Cisneros-Salazar) Water Notifications Online –This legislation will require that the Office of the State Engineer post notices of water applications on the agency website in addition to the current requirement of publishing in the newspaper. This will contribute to the protection of due process rights of those whose water rights might be affected by a water right decision by the State Engineer. This applies to new appropriations and water transfers. HB 17 (Chandler-Wirth) Water Leases and Water Uses – This legislation, in its original form, would have clarified that the State Engineer cannot approve a permit for a water lease until all requirements for public hearings have been met. This bill is in response to what NMAA has determined is an unlawful practice of approving leases without due process protections for water right owners potentially impaired. The bill was narrowed down substantially with language that clarifies that any water leases into or out of acequia require acequia approval, provided the acequia has the authorizing language in their bylaws. HB 379 (Chandler) Acequia Liens – This legislation would clarify that an acequia can obtain a money judgement from a Magistrate Court that can serve as a lien on property that has delinquencies. It simplifies the process of obtaining a lien so that it would no longer be necessary to go through District Court. It also has protections for the parciante by requiring notice and that the acequia release the lien when the delinquencies are paid. SB 5 Interstate Stream Commission Membership. This would change the composition of the ISC by specifying which sectors of water stakeholders and experts will have seats on the commission. The bill includes one seat out for an acequia representative. Passed and on the Governor’s desk. HB 37 No LEDA Funds for Water Rights Purchases. This legislation would prohibit the use of funds from the Local Economic Development Act (LEDA) from being used to purchase water rights. NMAA supported this bill because LEDA funds should be to strengthen local economies, not to take from an existing agricultural economy to lure an outside industry to the community. Passed and on the Governor’s desk. HB 651 Water Data Act. This legislation creates a water data council with agencies and higher education institutions to standardize the management of water data in the state. The bill directs the council to develop consistent water data standards and best practices for data collection. Passed and on the Governor’s desk. HB 204 Healthy Soils Act – This legislation would create a new program at the New Mexico Department of Agriculture to encourage farmers and ranchers to adopt practices that support healthy soils. Passed and on the Governor’s desk. HB 581 Hemp Manufacturing Act. This legislation would expand commercial use of hemp and create a structure to regulate the production, testing, and manufacturing of hemp. 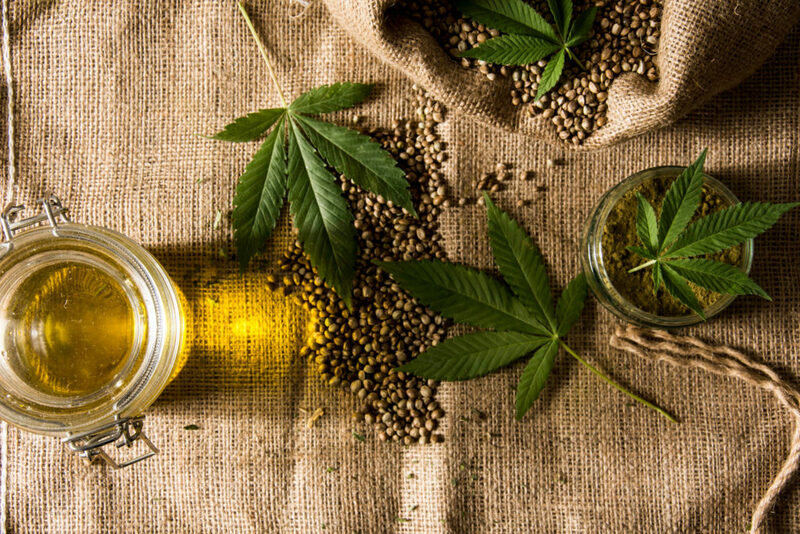 The legislation would enable the growth of hemp as a potentially lucrative industry in New Mexico. Passed and on the Governor’s desk. HB 266 Forest Restoration Fund. This legislation will support watershed health and forest restoration with funds to support on the ground projects. NMAA supported the concept of the bill but was unable to prevent the use the Irrigation Works Construction Fund. However, a compromise led to language in the budget bill that solvency issues of the Irrigation Works Construction Fund would be addressed in the next five years. Passed and on the Governor’s desk. HB 315 Agricultural Workforce Development Act. 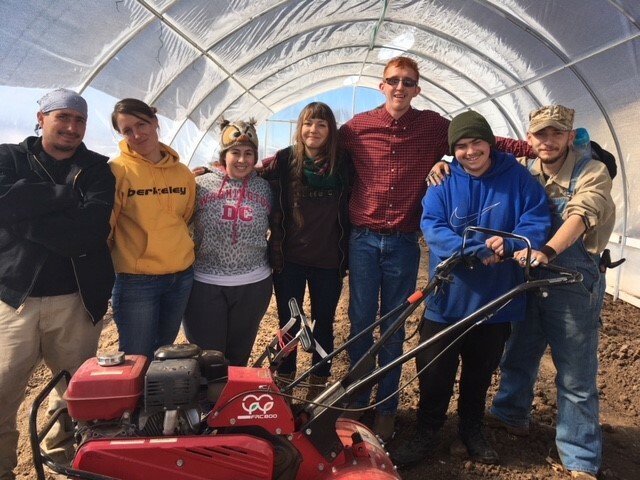 Appropriates $250,000 to NMSU to administer an internship program for new and beginning farmers to get paid to work with existing farmers and ranchers. Passed and on the Governor’s desk. HM 81 Rural Heritage Act Process – This memorial is intended to convene stakeholders who were involved in HB 332 Rural Heritage act. This legislation would have addressed the issues of rising property tax values in areas with historic agricultural lands by creating another category of taxation (unimproved lands). Lands in this category would be eligible for a special method that values the land at 25% of residential value. The bill faced some technical issues and a memorial HM 81 was introduced to bring stakeholder together to continue work on the concept. 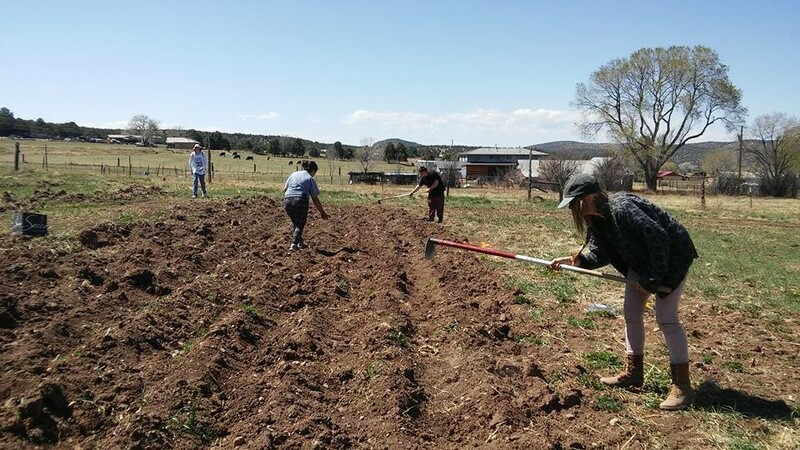 Please Support NMAA and the Next Generation of Acequia Farmers this GivingTuesday! In a thirty year average, 2018 is in the bottom tier for the worst year of precipitation and snowpack in New Mexico. 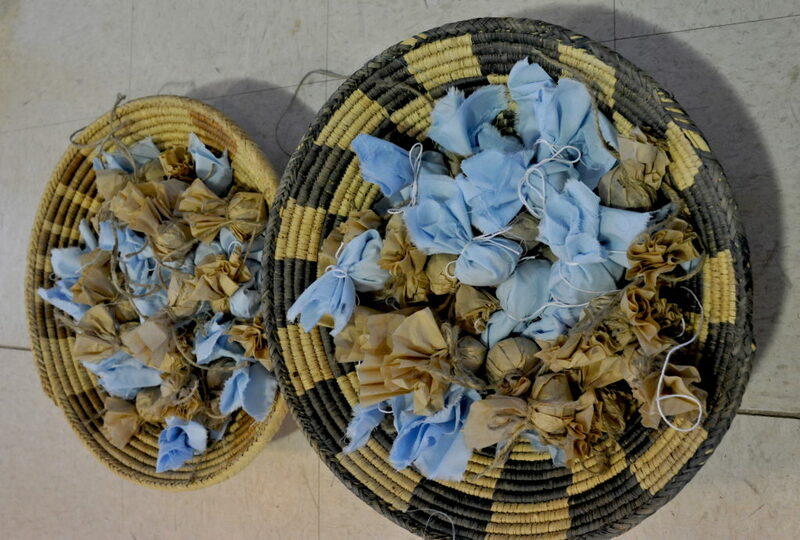 Acequia leaders recalled the strategies of their ancestors and revived old water sharing agreements drawing upon tradition farming methods to maintain agricultural operations during times of uncertainty. It is important now more than ever to have a network of acequias statewide to share strategies, experiences and lessons learned! 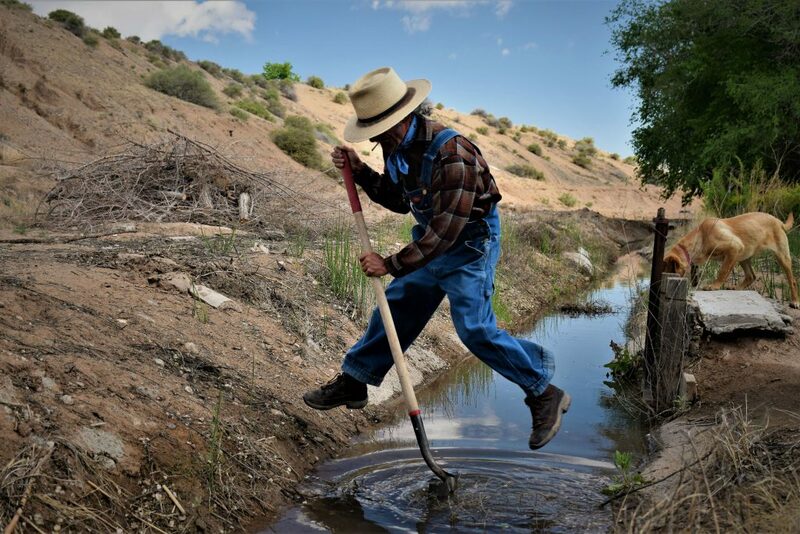 This year the NM Acequia Association responded to the drought by successfully organizing acequia workshops and gatherings that helped farmers strategize on creating water sharing agreements, farming models that adapt to climate change, and affirm cultural customs in their respective communities. Farmers learned from one another how to utilize new technologies to efficiently irrigate and focus on enhancing soils to absorb more water when it is available. Despite the challenges we collectively face as acequias, there are increasing numbers seeking guidance and support on governance, infrastructure funding, and intergenerational participation in our acequias. We must celebrate the endurance of the acequia tradition and looks toward our next generation as their insight and engagement will project the acequias into a sustainable future! The NM Acequia Association is has stepped up our efforts to keep youth and young adults connected and involved with their acequias. Our community-based Los Sembradores Farmer Training Program creates opportunities for aspiring farmers to gain hands-on experience and knowledge, engage in leadership development, and cultivate querencia or a love of the land. NMAA needs your support to continue to build on this work. Please become a member, donate or renew your membership!! We are counting on you to continue to defend the precious waters of our communities, to support our acequias, and to empower our youth! 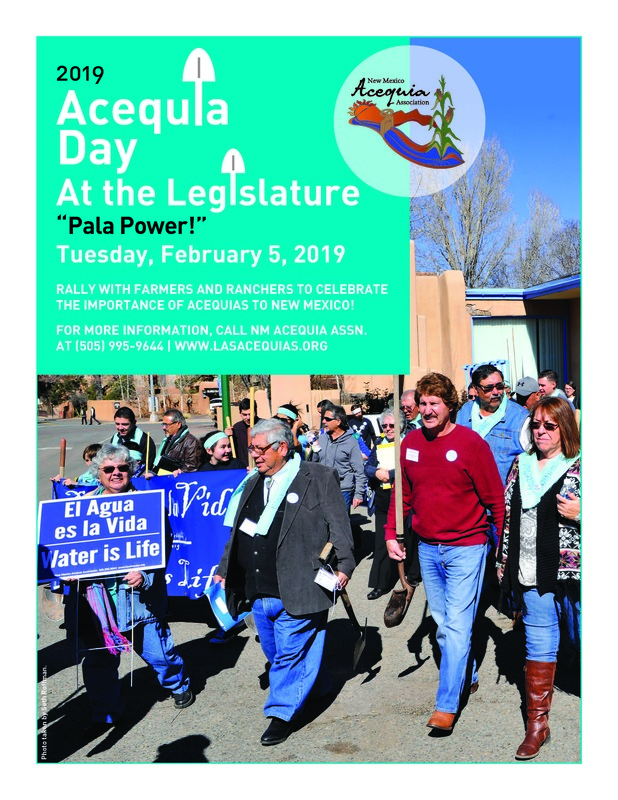 The Congreso de las Acequias is the annual state-wide membership meeting of the NM Acequia Association, comprised of regional delegates from communities across the state. It is the ONLY statewide gathering of acequia leaders where we share knowledge and create strategies for protecting our acequias, the water that flows through them, and the healthy food that is grown with them. We have raised $3,200 out of $10,000! Thank you to current Sponsors! And you can Sponsor the Congreso too!!! *Submit poems, videos, paintings, sketches, mixed media, models, and MORE! Art participants are limited to one entry. *Photo participants are limited to one entry per category. 1st Place: $60.00 & NMAA T-Shirt | 2nd Place: $40.00 & NMAA T-Shirt | 3rd Place: $20.00 & NMAA T-shirt *Winners will be recognized at the 2018 Congreso de las Acequias! Terms and conditions: Upon photo submission, you agree to the use of your work(s) in NMAA materials including but not limited to publications, calendar, website pages, and outreach materials. Photo credit will be given where appropriate. San Luis Valley right outside of Alamosa Colorado. SAN LUIS, CO (August 28, 2018). In 2002, in a historic ruling in the Lobato v. Taylor land rights case, the Colorado Supreme Court settled a decades-long legal struggle by the heirs of the 1844 Sangre de Cristo Land Grant. The 80,000-acre parcel is known locally as La Sierra (the Mountain Tract). It is vital to the Culebra River acequia villages in Costilla County which rely on these access rights to sustain a robust and sustainable local agricultural economy. The ruling restored to the heirs and successors of the land grant rights to gather firewood and construction materials and to graze livestock. In 2005, more than 350 families received keys for access to the land grant and the exercise of these rights. On Sept. 5, 2018, the San Luis Land Rights Council (LRC) and its supporters will have to return to the courts to defend these rights yet again. Shirley M. Romero Otero, the President of the LRC, expressed the view that the ability of the heirs to use La Sierra remains a vital part of the economic stability and cultural survival of a unique farming community that is the living heart of the Sangre de Cristo National Heritage Area. The scheduled September 5 hearing is before the Colorado Court of Appeals in Denver. The latest legal round was triggered by the new private owner of La Sierra (a.k.a. Cielo Vista Ranch), William Bruce Harrison, the scion of a wealthy Texas family with billions in oil wealth. Harrison is the fourth owner of the grant since the 2002 ruling. Prior owners included the disgraced head of the now defunct Enron Energy Services, Lou Pai. 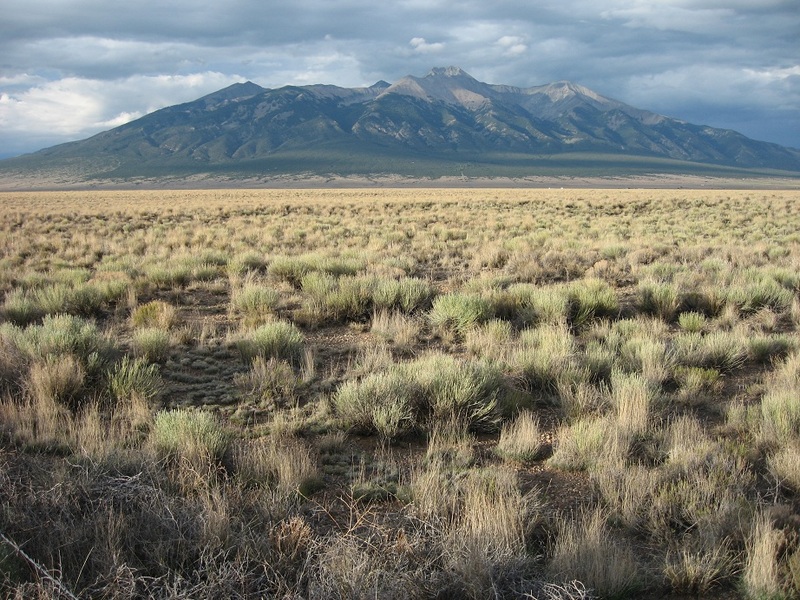 In the mid 1990s, then Colorado Governor Roy Romer established the Sangre de Cristo Land Grant Commission to try and resolve the dispute through a buy-out that would have converted the land into a state park and wildlife management area. The deal collapsed when Zachary Taylor, Jr. rejected an offer for $21 million in 1997. Harrison acquired ownership in February 2018 for a reported $105 million. The LRC has always opposed state ownership and emphasizes litigation to restore historic land use rights. Established in 1978, the LRC was inspired by a legacy of local resistance led by the late Apolinar Rael during the 1960s land grant movement. In 1981, the LRC filed a class-action lawsuit against Jack T. Taylor, the North Carolina timber baron who acquired the grant in 1960. Taylor eventually lost because in 1960 he had promptly sued to keep the locals out but violated due process and equal protection standards when filing a quiet title action. Taylor and the lower courts failed to inform the majority of the land grant heirs, denying them their day in court to challenge Taylor’s quiet title action. The LRC sought to re-establish long-held community use rights to La Sierra, which the people were legally entitled to as confirmed under Mexican and U.S. law. The grant was patented by an act of Congress on June 21, 1860. 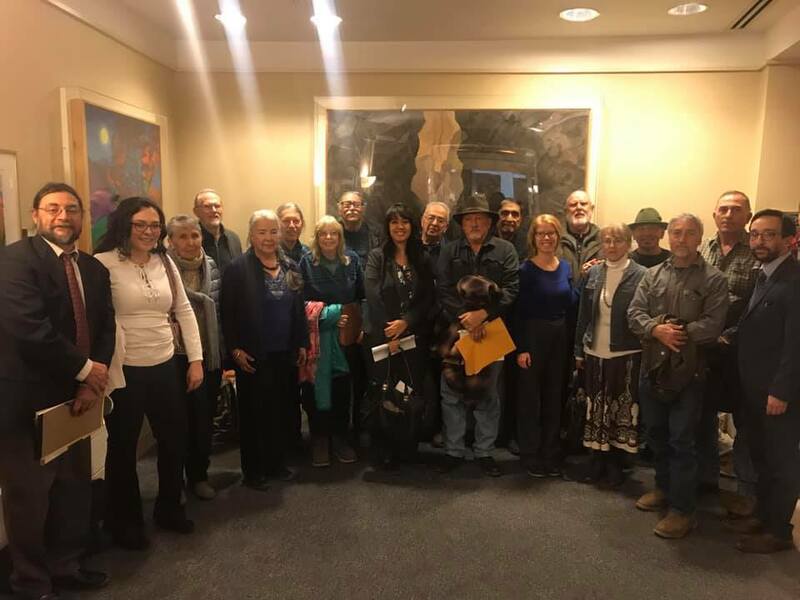 After more than 37 years of court battles, the Culebra acequia village communities regained access rights when the Colorado Supreme Court issued its historic ruling in Lobato v. Taylor [71 P.3d 938 (2002)] on June 24, 2002.